Opal Damansara in Sunway Damansara has recently achieved two significant milestones due to its impressive design and layout. It is a 248-unit semi-d condominium that was developed by Sunway Damansara Sdn Bhd, a subsidiary of Sunway City Berhad and designed by Arkitek Maju Bina. Defying the conventions of condominium living, Opal Damansara is inspired by a vision of a tropical paradise. Low-density units are nestled amidst lush landscaping to create a pristine and private retreat for those who crave a resort-living lifestyle in the city. The semi-d concept whereby every unit in Opal Damansara is a corner has proven to be popular and well received. Residents enjoy the exclusivity of having only one attached neighbour. The Group has also ensured that residents are able to enjoy an enviable ambience within the project development by allocating 30% of the development for landscaping. During the 3rd Asian Habitat Summit 2010 at Fukuoka, Japan, Sunway Opal Damansara Condominium was awarded the 2010 Green Asian Townscape Award at the annual commending grand ceremony. The Asian Habitat Summit is held once every two years and the theme for the third summit was “Green Asia – Picturesque Cities.” The organisers of the 2010 Green Asia Townscape award are Fukuoka Asian Urban Research Center, United-Nation Habitat for Asia and The Pacific, Asia Townscape and Design Society and China Real Estate Association. This forum encourages members to discuss the construction of residential environment in the Asian process of urbanization, exchange research results and boost sustainable development of the Asian undertaking of residential environment. Another significant milestone for Opal Damansara was the win of the 2010 Design Grand Award of Chinese Residential Projects by the World Association of Chinese Architects (WACA). WACA provides a platform for elite Chinese architects in the world to publicize their achievements and expertise. Through interaction and academic exchanges, it is hoped that WACA can raise the innovation and creativity amongst architects to serve the community. The 2009 Design Award is definitely a positive step towards that direction. Apart from the plethora of plants that make up the lush green surroundings, residents will find a wide array of facilities for their daily comfort that include landscaped gardens, children's play area, swimming pools, gymnasium, tennis and badminton courts, reading room, multi-purpose hall, surau and a gazebo. Opal Damansara is located within the 400-acre integrated Sunway Damansara township with good access and proximity to facilities, commercial centers and shopping malls. The township is one of the most sought-after locations in Petaling Jaya. 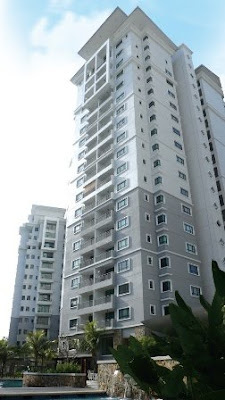 Opal Damansara has also enjoyed good price appreciation which commensurate with this award-winning project. In short, this is another stellar project by the leading master community developer.